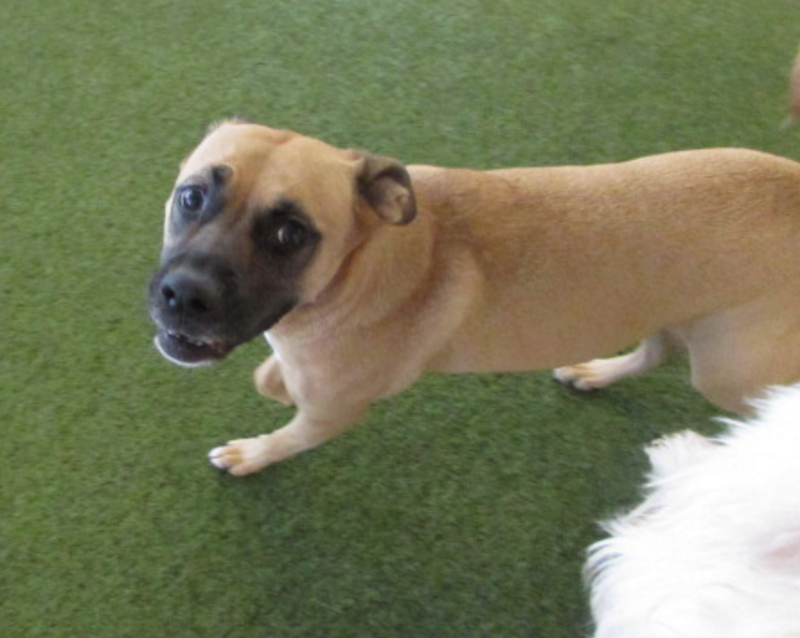 Meet our Pooch of the Week, Colette! 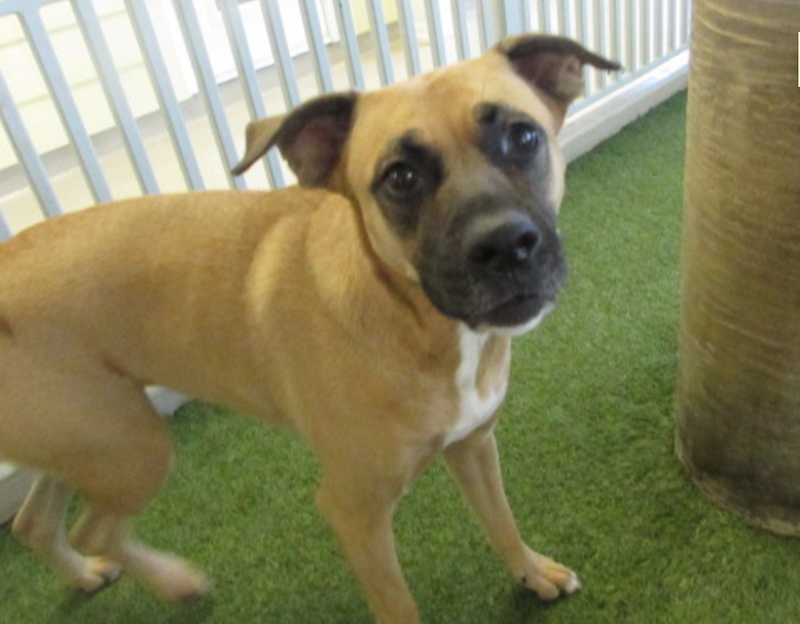 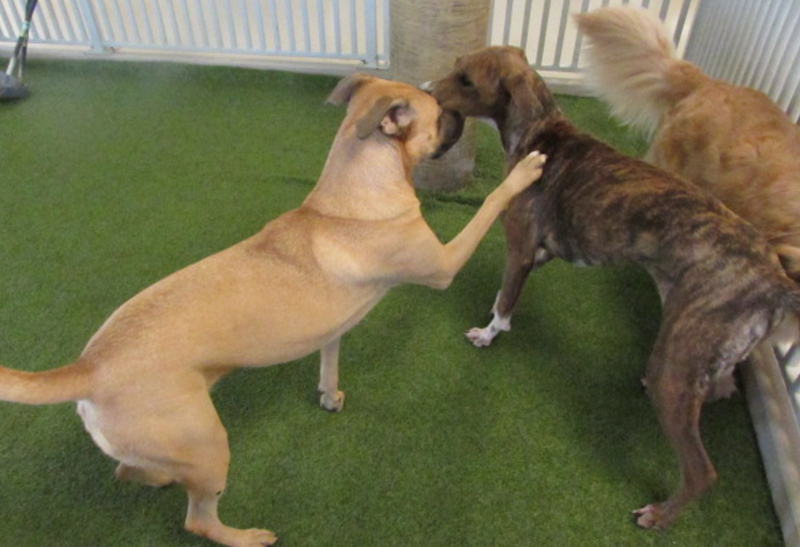 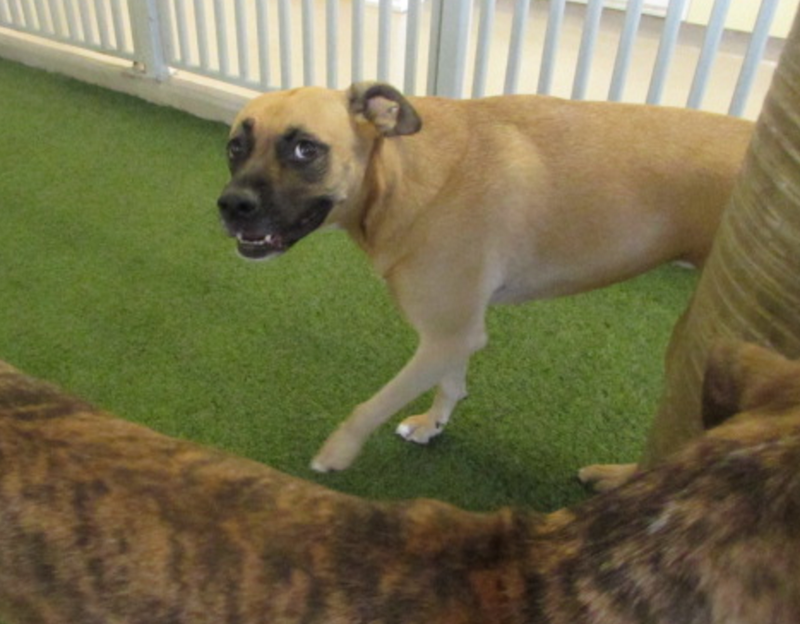 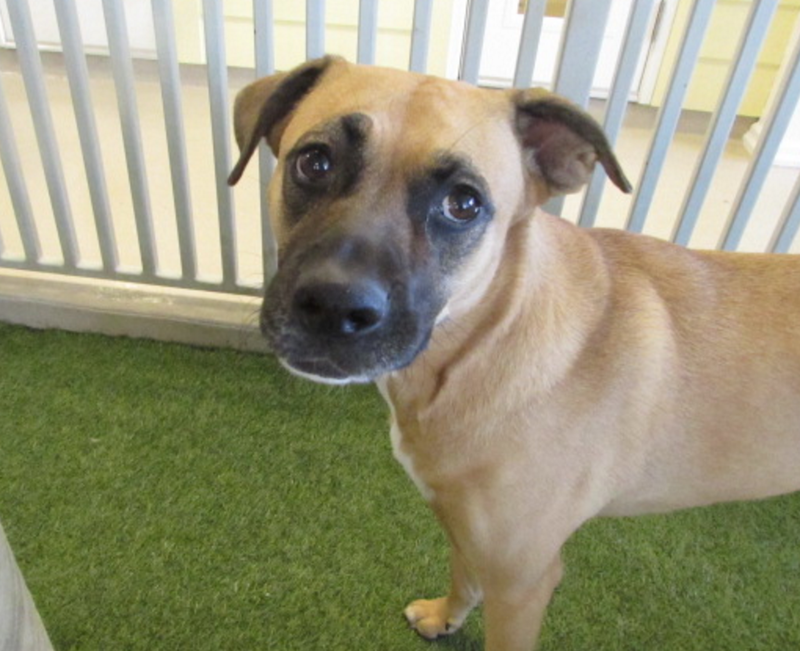 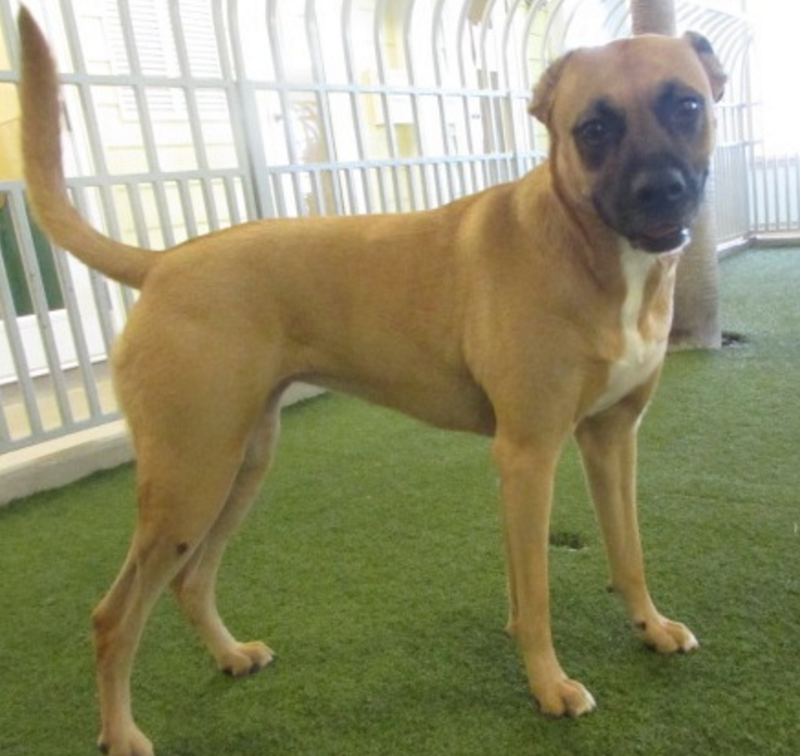 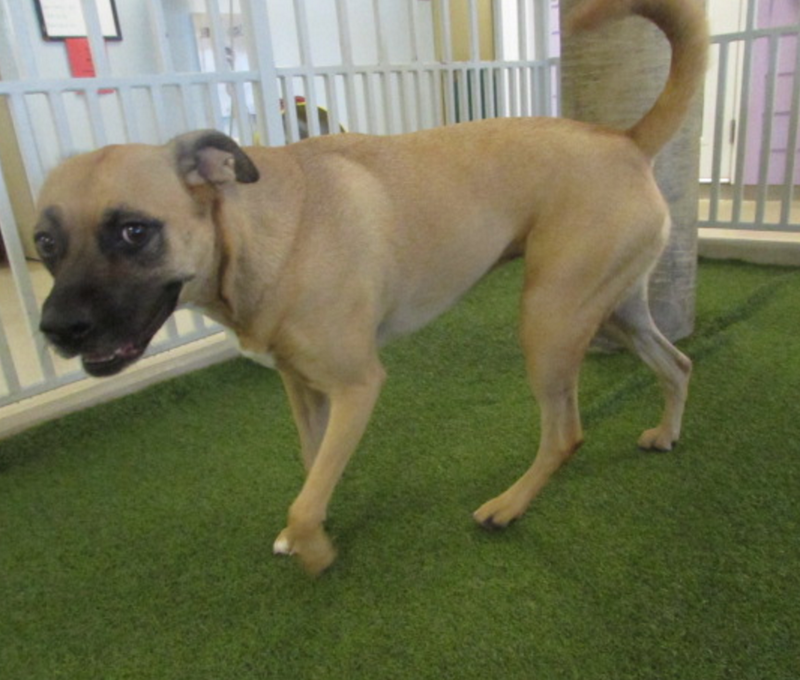 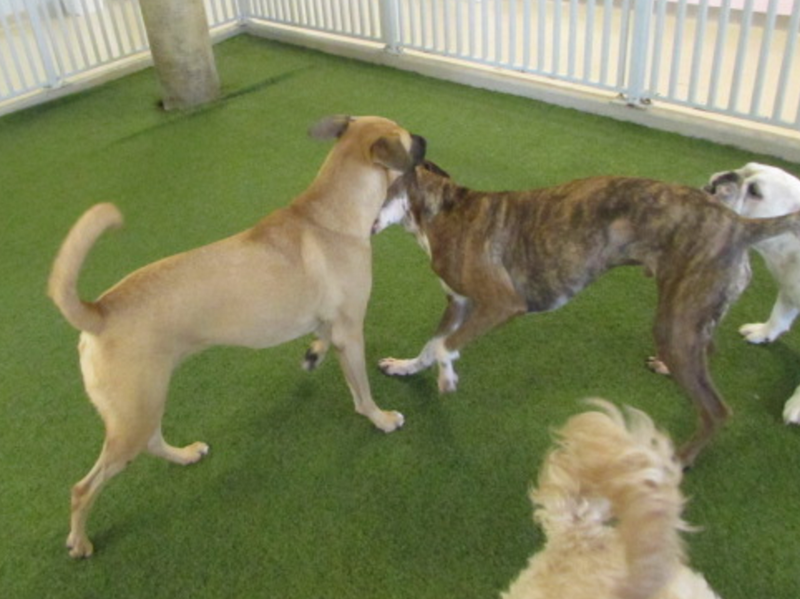 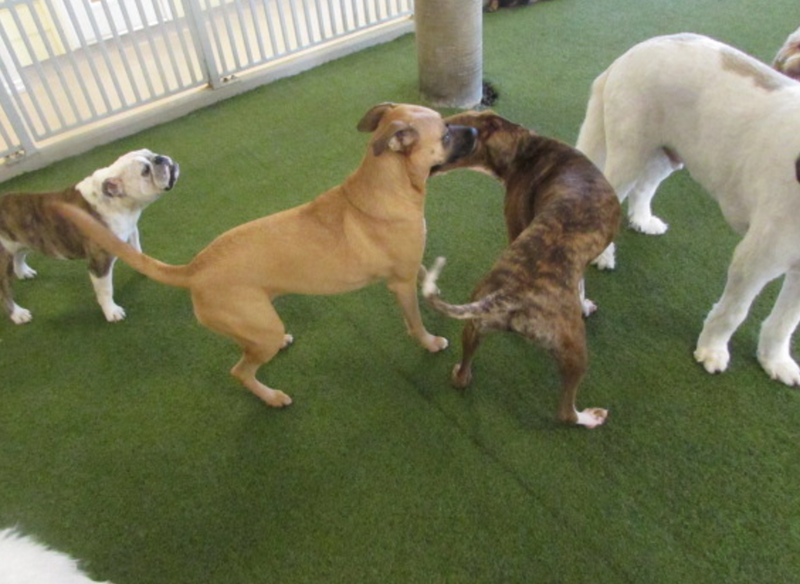 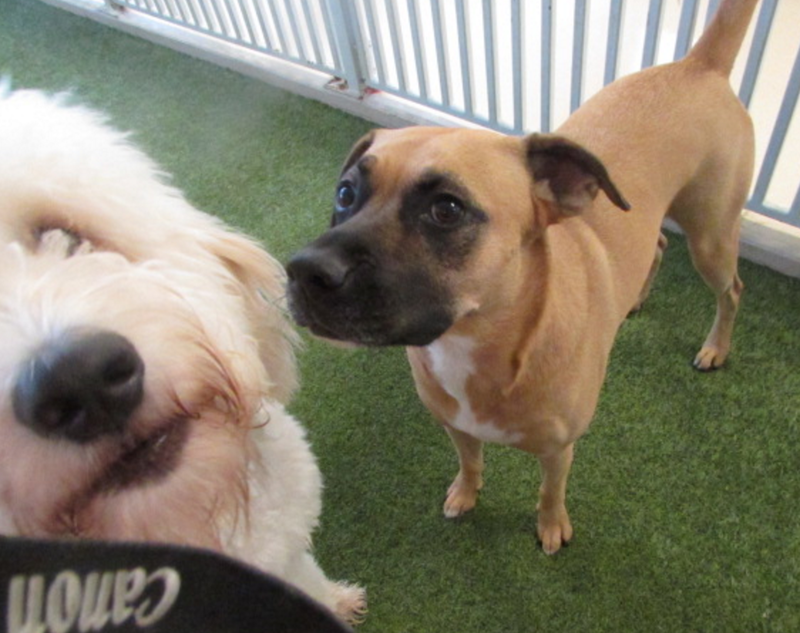 Colette is a two year old Boxer Mix and is a staple in our play care routine. 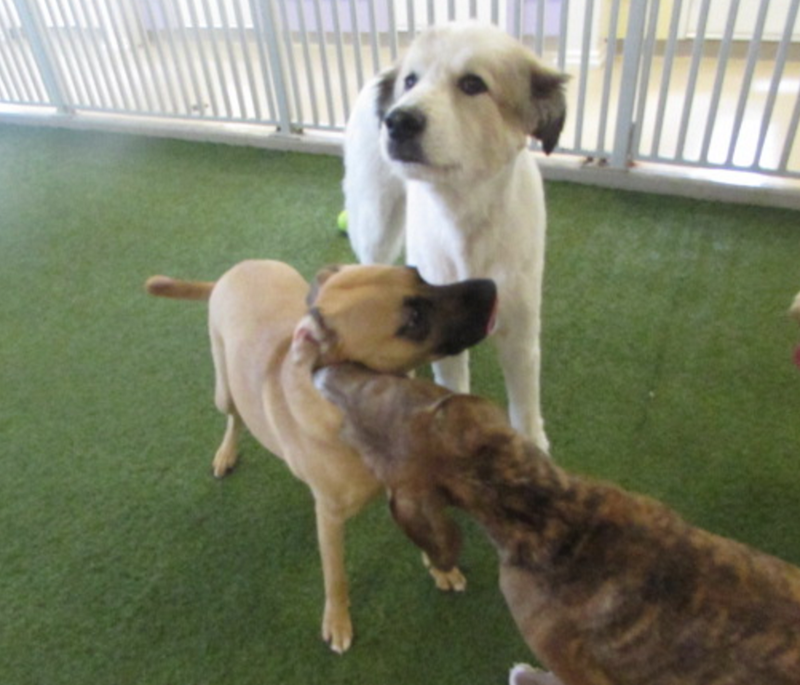 Colette acts very much like the mother to all of the other dogs in the yard and to the staff! 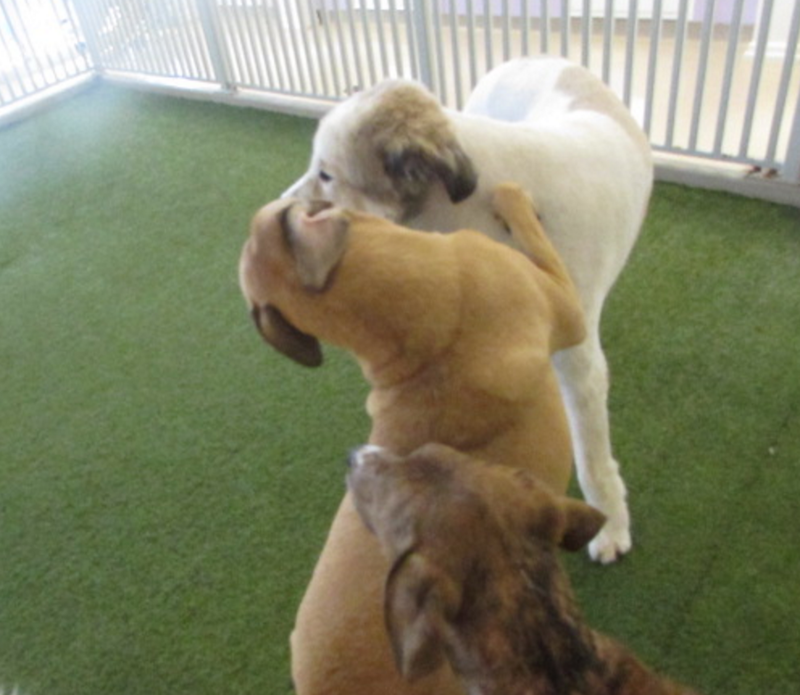 When dogs are playing too rough she gets in the middle and sometimes puts her paw on the other dog. 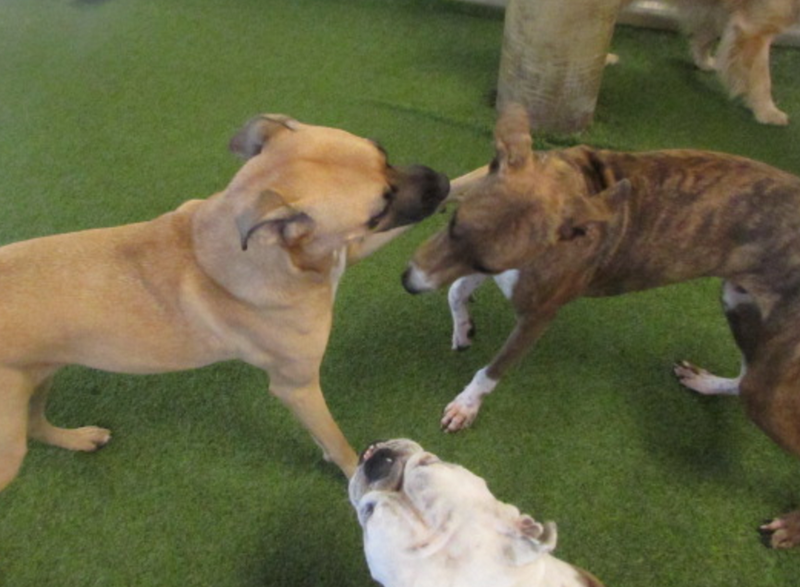 It is super cute and entertaining. 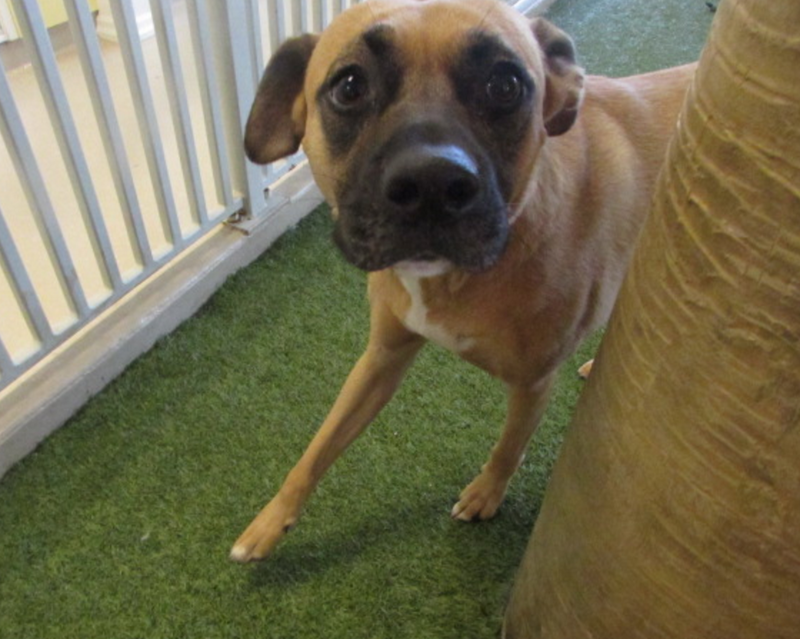 Colette is such a sweet and charismatic girl and we love her so much!